World Immunisation Week is running from 24 April to 30 April 2019. Organised by the World Health Organisation, it aims to promote the use of vaccines to protect against disease. 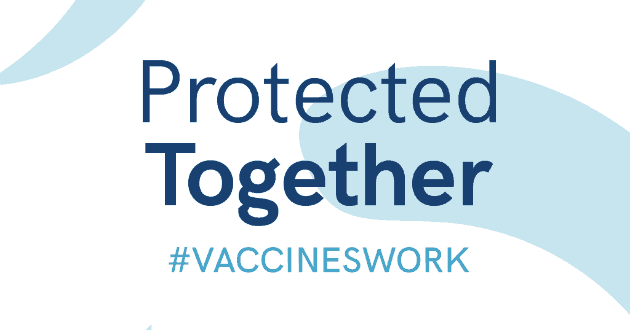 Immunisation is a cost-effective health intervention which saves millions of lives every year, so this year’s theme is Protected Together: Vaccines Work! Health professionals continue to make break-throughs in the discovery of new vaccines, with a recently developed treatment for Respiratory Syncytial Virus currently being tested. For most people who contract Respiratory Syncytial Virus, it causes nothing more than a cold. However, in some cases, the virus can be life-threatening. Read on to learn more about RSV and use #WorldImmunisationWeek and #VaccinesWorkto share this on social media. 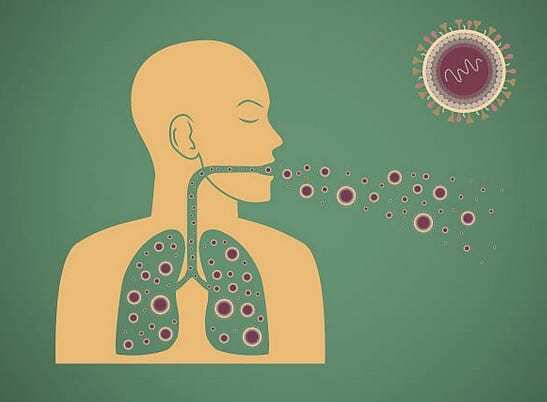 Respiratory Syncytial Virus (RSV) is a common infection, known to have a widespread occurrence in temperate climates annually between Autumn and early Spring. In tropical climates, outbreaks are more common during rainy seasons. RSV has been identified globally as the most common cause of lower respiratory tract infection (LRTI) in infants and in children below the age of 2, causing difficulty in breathing, wheezing in infants and bronchiolitis in young children. However, older adults are also increasingly noted to be contracting the RSV infection. There has been a rise in the hospitalisation rate of adults with RSV infection especially in those individuals who are 65 years or older and have an underlying cardiac or pulmonary diagnosis or are immunocompromised. What are the RSV symptoms in adults? In adults,the virus initially presents as mild flu-like symptoms which means it is not often distinctly recognised as RSV. The infection worsens and can develop into pneumonia, aggravate asthma or exacerbate chronic obstructive pulmonary disease (COPD). In an individual with a related underlying medical history, the condition can result in congestive heart failure. Due to the decreases in immunity that comes with age, older adults are at a greater risk of serious complications from RSV. At present there are no treatments available for RSV infections and it is generally managed by supportive care only. There is, however, a prophylactic antibody treatment against RSV. Fusion (F) protein is available for severely affected premature infants who are at high risk only, as it is costly and requires more than one monthly injection. 11,000 to 17,000 adults die of RSV infection every year in the United States and there has been an estimated 10-fold increase in the hospitalisation of people with respiratory signs and symptoms. In a study conducted in the US, a yearly rate of RSV infection among adults 50-64 years old was estimated to be 0.82/1000, whereas it was 2.5/1000 for individuals 65 or above. An RSV vaccination has been developed for the adult population at greatest risk of the illness, those 65 years and older. The drug company Pfizer is also developing a vaccine to protect infants through maternal immunisation during pregnancy. The immunisation targets the older adult population. As we grow older, we lose some of the immunity that we had when we were younger. Our immune systems become less effective in protecting against disease. This means that older adults are more likely to catch infections, which are then more likely to be severe. Also, older adults take longer to recover and are more likely to develop complications of the infections that may need to be treated in hospital (Medicine Today, Feb 2019).A number of infections can be particularly serious as we age. A safe and effective way to protect against these infections is to be vaccinated against them. AusTrials has been selected to deliver Pfizer’s RSV vaccine to older adults. We are seeking generally healthy adults 65-85 years of age without documented allergies to vaccines, eggs or egg products willing to attend the clinic according to the visit schedule. Contact us on 07 3278 5255 or by emailing info@austrials.com.au if you, or someone you know, may be eligible for participation to receive the RSV vaccine. Read on for further information regarding the RSV vaccination being offered. The main aim of this vaccine is to increase the immunity in the older age group as they tend to be most at risk of RSV complications. The vaccine helps to protect against the infection before the start of the RSV season. There are two types, or subgroups, of the RSV virus, subgroup A and B. The vaccine covers both theseRSV subgroups. It also uses new technology to enhance the immune response and increase the number of protective antibodies produced. The RSV vaccine will be given at the same time as the influenza flu vaccination during the study course to assess any probable influence that may occur on the safety, tolerability and immune responses when seasonal influenza vaccineand the RSV vaccines are given together by intramuscular injection.